Robert & Jeffrey Bruce’s 13F portfolio value increased from $502M to $516M this quarter. Bruce Fund increased Allergan plc (AGN) while reducing Insteel Industries (IIIN) during the quarter. 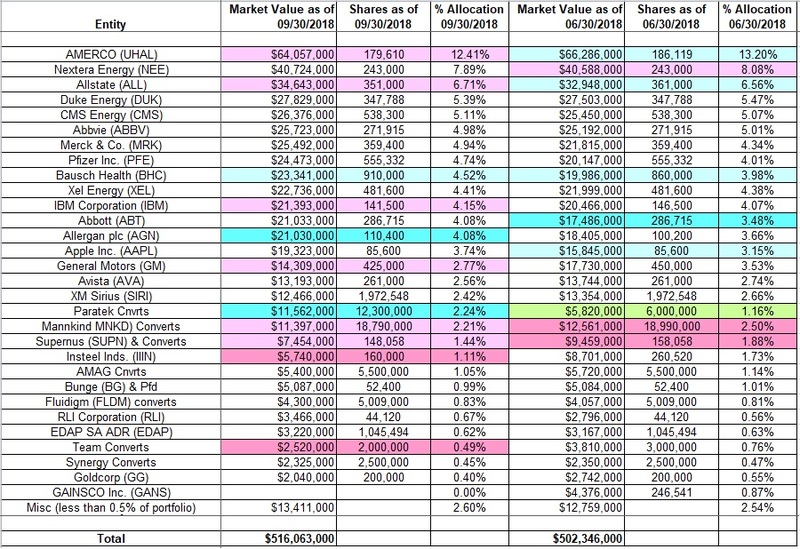 The largest three individual stock positions are AMERCO, Nextera Energy, and Allstate and they add up to ~27% of the portfolio. Robert & Jeffrey Bruce’s 13F portfolio increased ~3% from $502M to $516M this quarter. Recent 13F reports have shown a total of around 50 positions. 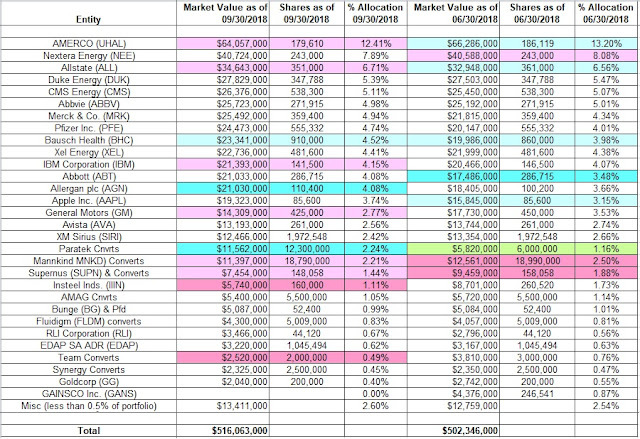 The largest five individual stock positions are AMERCO (UHAL), Nextera Energy (NEE), Allstate (ALL), Duke Energy (DUK), and CMS Energy (CMS), and they add up to ~38% of the 13F portfolio.